Under section 44(1), notwithstanding anything contained in the Income Tax Ordinance (ITO), 1984, any income or class of income or the income of any person or class of persons specified in Part A of the Sixth Schedule shall be exempt from the tax payable under the ITO, subject to the limits, conditions and qualifications laid down therein and shall be excluded from the computation of total income under the ITO. Paragraphs deleted: 07 in number (Paragraphs 9, 10, 11, 22, 23, 31, 32). Para 14 is also no more valid since assessment year 1999-2000. Para-1: Any income derived from house property held under trust or other legal obligation wholly for religious or charitable purposes, and in the case of house property so held in part only for such purposes, the income applied, or finally set apart for application, thereto, but not applicable for a non-government organization (NGO) registered with NGO Affairs Bureau. Para-1A: Any income derived from operation of micro credit by a non-government organization (NGO) registered with NGO Affairs Bureau [Inserted by Finance Act 2002]. Para-2: Any income of a religious or charitable institution (not a private religious trust which does not ensure for the benefit of the public) derived from voluntary contributions and applicable solely to religious or charitable purposes. Para-3: The income of a local government. Para-4: Any income accruing to, or derived by, (1) a provident fund to which the Provident Fund Act, 1925 applies, (2) workers participation fund established under the Companies Profits (Workers Participation) Act, 1968, subject to any such conditions and limits as may be prescribed. Para-5: Any special allowance, benefits or perquisite specifically granted to meet expenses wholly and necessarily incurred in the performance of the duties of an office or employment of profit. Para-6: Any income received by the trustees on behalf of a recognized provident fund, an approved superannuation fund and an approved gratuity fund. Para-7: Any income received by: (a) any ambassador, high commissioner, envoy, minister, charge d’affairs, commissioner, counselor, consule de carriere, secretary, adviser or attaché of an embassy, high commission, legation or commission of a foreign State, as remuneration from such State for service in such capacity; (b) a trade commissioner or other official representative in Bangladesh of a foreign State (not holding office as such in an honorary capacity) as his official salary, if the official salary of the corresponding officials, if any, of the government resident for similar purposes in the country concerned, enjoy a similar exemption in that country; (c) a member of the staff of any of the officials referred to in clauses (a) and (b), as his official salary, when such member is not a citizen of Bangladesh and is either a subject of the country represented or a subject of some other foreign State and is not engaged in any business or profession or employment in Bangladesh otherwise than as a member of such staff, and the country represented has made corresponding provisions of similar exemptions in the case of members of the staff of the corresponding officials of the Government of the People’s Republic of Bangladesh in that country. Para-8: Any pension due to, or received by, an assessee. [The condition of being present in Bangladesh for a period in all amounting to 182 days or more in respect of the income year of receiving the pension has been withdrawn by the FA 2003]. Para-12: Any income, not exceeding five thousand taka, chargeable under the head “Interest on securities” received by an assessee, being an individual, from interest on any securities of the Government. But the amount of exemption under this paragraph together with the amount of any exemption under paragraph 13 shall not exceed twenty thousand taka. [This provision is applicable for securities on which tax is deductible u/s 51 @ 20% irrespective of type of taxpayers from 1-7-2004 and previously at the maximum rate depending on the type of taxpayers. Interest on savings instruments were subject to tax deduction u/s 52D during a period from 11-06-1999 to 31-12-2003]. Para-13: Any income, not exceeding twenty thousand taka received by an assessee, not being a company, from interest on debentures approved by the Securities and Exchange Commission, but the amount of exemption under this paragraph together with the amount of any exemption under paragraph 12 shall not exceed twenty thousand taka. Para-15: Any income chargeable under the head “Salaries” received by or due to any person who is neither a citizen of Bangladesh, nor was resident in Bangladesh in any of the four years immediately preceding the year in which he arrived in Bangladesh, for a period not exceeding three years from the date of his arrival in Bangladesh, as remuneration for services rendered by him during such period, as a technician under a contract of service approved before the commencement of his services or within one year of such commencement by the Board for the purposes of this paragraph, employed whether before or after the commencement of commercial production, in (a) the manufacture of goods or materials or the subjection of goods or materials to any such process; (b) ship-building; (c) electricity and hydraulic power undertaking; (d) the working of any mine, oil well or other source of mineral deposits; (e) any undertaking the profits and gains of which are liable to be computed in accordance with the provisions contained in Part A of the Fifth Schedule; or (f) any other undertaking to which the Board may declare this paragraph to be applicable*. The undertaking, subject to other conditions, employees (i) ten or more persons in Bangladesh and involves the use of electrical energy or any other form of energy which is mechanically transmitted and is not generated by human or animal agency, or (ii) twenty or more persons in Bangladesh and does not involve the use of electrical energy or any other form of energy which is mechanically transmitted and is not generated by human or animal agency. Para-16: Any tax payable by an employer in respect of the remuneration payable by him for a period not exceeding five years from the expiration of three years from the date of his arrival in Bangladesh to any technician to whom paragraph 15 applies and who continues to be employed by him in Bangladesh as a technician after the expiry of the said period of three years. Para-17: The provisions of paragraph 15 (tax exemption for “salary” income for three years from the date of arrival) and paragraph 16 (tax exemption for “tax payable in respect of salary income” for five years from expiration of three years from the date of arrival) shall, so far as may be, apply to a technician employed by a Bangladeshi firm carrying on the business of consultants and engineers in Bangladesh, whether by itself or in association with any foreign firm carrying on such business in Bangladesh. Para-18: Any income received by an assessee in respect of any share of income out of the capital gains on which tax has been paid by the firm of which the assessee is a partner. Para-19: Any sum received by an assessee as a member of a Hindu undivided family where such sum has been paid out of the income of the family. Para-20: Any income of an assessee representing payment received as gratuity. Para-21: Any payment from – (a) a provident fund to which the Provident Funds Act, 1925 applies; or (b) a recognized provident fund subject to any such conditions and limits as may be prescribed; or (c) an approved superannuation fund, subject to any such conditions and limits as may be prescribed; or (d) a workers participation fund established under the Companies Profits (Workers Participation) Act, 1968, subject to any such conditions and limits as may be prescribed. Para-24: Any interest classifiable under the head “Interest on securities” receivable by an assessee on any security of the Government, which is issued with the condition that interest thereon shall not be liable to tax. [Inserted by FA 1992.] Up to 30-06-2002, the Government securities the interest of which were exempted u/s 44(4)(b) were: Defense Savings Certificate, 5-Year Term Bangladesh Savings Certificate, Bonus Savings Certificate, and 3-Year Term Savings Certificate [vide S.R.O. No. 178-Ain/89 dated 4-6-1989] and 6-Moth Interval Profit-Based Savings Certificate and Family Savings Certificate [vide S.R.O. No. 201-Ain/97 dated 1-7-1997]. Both of these two SROs were repealed by S.R.O. No. 173-Aykar/2002 dated 3-7-2002. * Paragraph 15 is applicable to undertaking engaged in air-transport declared by the NBR under para 15(1)(f) [vide S.R.O. No. 187-Ain/99 dated 1-7-1999]. Paragraph 15 is also applicable to 24 types of undertakings declared by the NBR under para 15(1)(f) [vide S.R.O. No. 338-Ain/99 dated 17-11-1999]. 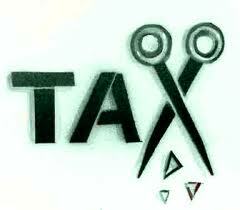 Tax is deductible @ 10% on the whole amount of interest if total interest exceeds Tk. 25,000 and the savings instruments were purchased after 10-06-1999 and up to 30-06-2002; and tax is deductible @ 5% on the whole amount of interest and the savings instruments were purchased on or after 01-07-2002 and up to 31-12-2003 [see sec. 52D and Finance Acts 1999, 2002, 2003, and 2004].